5K races are great. Most people in reasonable shape can do it, and even if you trod along at a very leisurely pace, the race is over within 30 minutes. You don’t have to train for months or go through a carb-loading ritual, and for most, recovery is a non-existent problem. But where’s the fun in spending over 20 minutes to finish a 5K? These short distance races are where you can go full out for the entire duration. You can maintain a rate of speed which is otherwise hard to sustain in distances of half-marathon and beyond. It’s like a road version of your speedy track workouts, except that it’s a fun social event. And shoes – that’s what we’re here for, yes? You need the right pair of running shoes to make the best of those 20 minutes. So the $100 question is – which one should you get? 5K is one event where racing flats and their kind come in handy. The fact that they aren’t very cushioned is irrelevant given the short distance. In lieu, you get a featherweight shoe with superlative road grip – exactly what you need for a 5K. On the following list, most of the shoes loosely belong to the category of racing flats. We say ‘loosely’ because only zero-drop shoes qualify as true racing flats. The New Balance Hanzo and the Nike Speed Racer are very close to a flat but have a few millimeters of offset. Others like the Asics LyteRacer, Brooks Hyperion, and the Nike Streak LT4 are ‘ road racers’ rather than unadulterated flats. 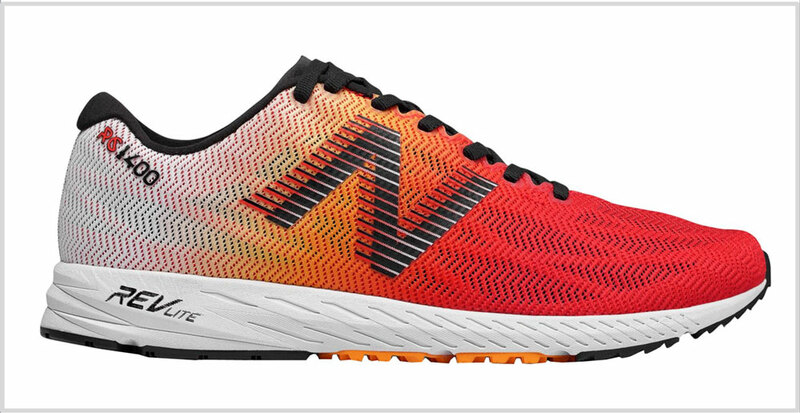 For the 2019 list, we’ve thrown in more cushioned models like the New Balance 1400V6 as well. One of our selection criteria was to choose shoes with a DSP outsole. 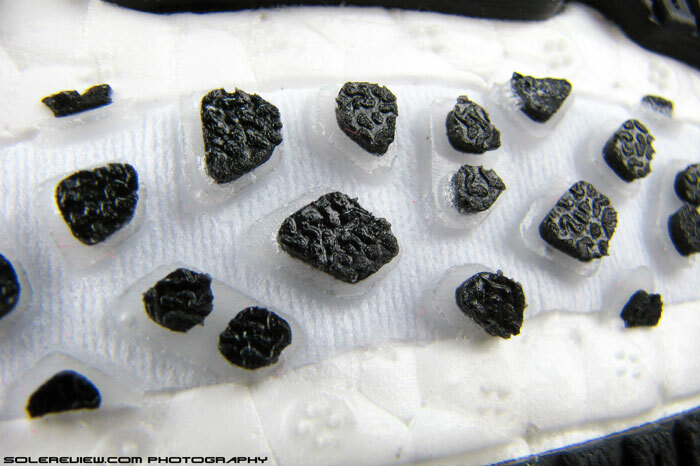 A Dual-Stencil-Process (DSP) construction uses small pieces of outsole rubber attached to a fabric base. A DSP outsole gives the shoe a superior grip advantage, as the small lugs do a better job than regular rubber slabs. And boy, do they feel good on short runs; the crunching sound which the DSP makes when gripping the road is addictive. That, and there’s a far better sense of connection with the road. In the spirit of brand diversity, we’ve put together recommendations from various manufacturers, so not all models have a DSP outsole. To make the selection process easier, the product description includes what the outsole is made of. The Hanzo S V2 is the best shoe on the list, bar none. If you decide to buy one, then reading the rest of this guide is optional. 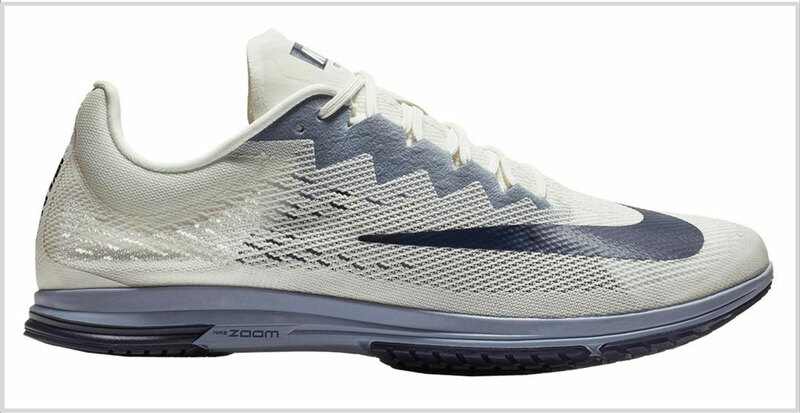 You can tell that every part of the shoe is purposefully designed keeping road racing in mind. The upper fit is snug as racers should be, but the foot is ensconced in a layering of engineered mesh, synthetic suede, and padded lining. The thin tongue is distraction-free and complements the overall fit. It depends on how you like your racing flat to fit. You might need to go a half-size up if you want that extra room in the front. The midsole and outsole is where all the magic happens. Outsole grip is superb, courtesy of the dual-stencil forefoot lugs and rubber pieces. A plastic midfoot footbridge provides the desired rigidity for snappy transitions. The ever-so-reliable Revlite foam (also seen on the 1400/1500/890) creates a just-right cushioning layer between your foot and the road. And the 4 mm drop Hanzo weighs a mere 6-ounces. Given its heel drop, the Speed Racer 6 cannot be categorized as a true racing flat. But for all practical purposes, it is. And we have to thank Japan for this one – it’s a well-known fact that the country is racing flat heaven. The entire forefoot outsole is made of lightweight DSP lugs and the midfoot is bridged by a plastic shank for rigidity. Under the heel, a solitary Zoom Air bag delivers snappy cushioning. The upper fits super narrow throughout which is great for keeping the foot locked down. There’s no fancy tech here. The LyteRacer TS 7 is as traditional a road racer can get. The upper has a secure fit, courtesy of the regular mesh and synthetic suede. The low-profile EVA foam midsole has an 8 mm offset and a plastic midfoot shank. There’s no DSP under the forefoot but the small lugs offer excellent grip during toe-offs. 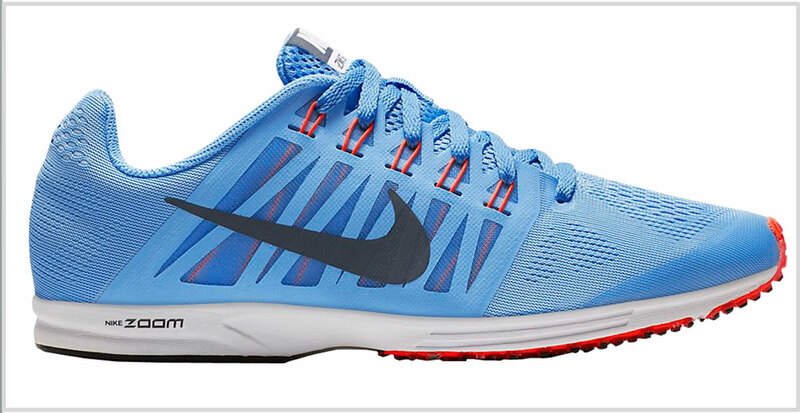 The Streak LT4 is a lightweight racer with a snug-fitting yet extremely breathable upper. There isn’t a whole lot of cushioning due to the thin stack of foam except for the heel area which has a snappy Zoom Air bag. The forefoot outsole is covered with a colony of micro lugs which grip extremely well. 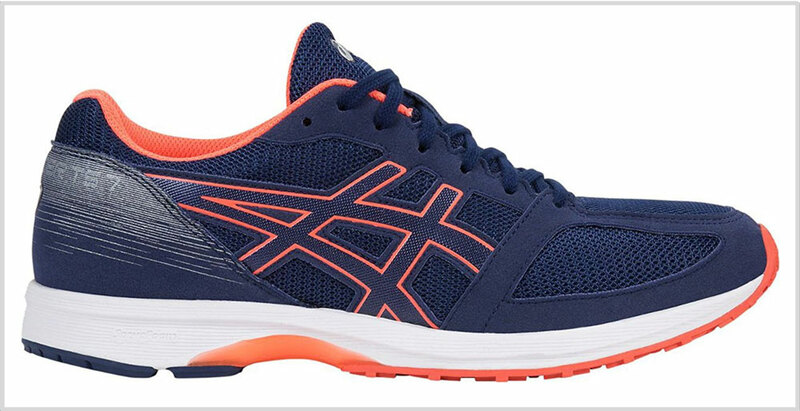 At just over 6 ounces, the Hyperion is a speedy racing shoe. It’s also got a 10 mm heel offset and a rearfoot stack higher than the most on this list, so the cushioning level is similar to the 1400. The upper fits very narrow and pointy – even for a racing shoe. We’ve saved the New Balance 1400V6 for the last because this shoe has more cushioning than the others. So if you crave more cushioning and upper room, then get the 1400. When we say ‘more cushioned’ or ‘spacious’, that’s purely relative in the context of this guide. The 1400 fits snug but without the narrowness of racing flats. While the midsole is low profile, there’s enough Revlite foam to prevent your feet from getting beat down.